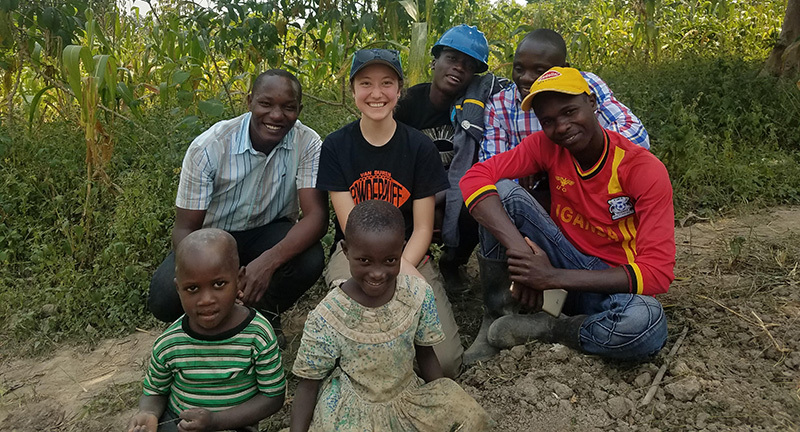 Becca Kheiry takes a moment from her engineering duties to meet community members in Kabingo. Miami University’s Engineers without Borders student-led organization was honored Tuesday, Oct. 23, for the design and implementation of a community-driven solar powered water pumping system in rural Kabingo, Uganda. Last spring, the Miami chapter received word that it won a $10,000 Engineering Education Award from the National Council of Examiners for Engineering and Surveying. Two representatives from the organization presented the students with the award Tuesday at a ceremony on the Oxford campus. Their project will bring clean drinking water to a community of 3,000. With the award money, the team of undergraduate students plans to cover infrastructure costs for the water pumping system they designed. They are looking into items such as concrete, piping and solar panels. 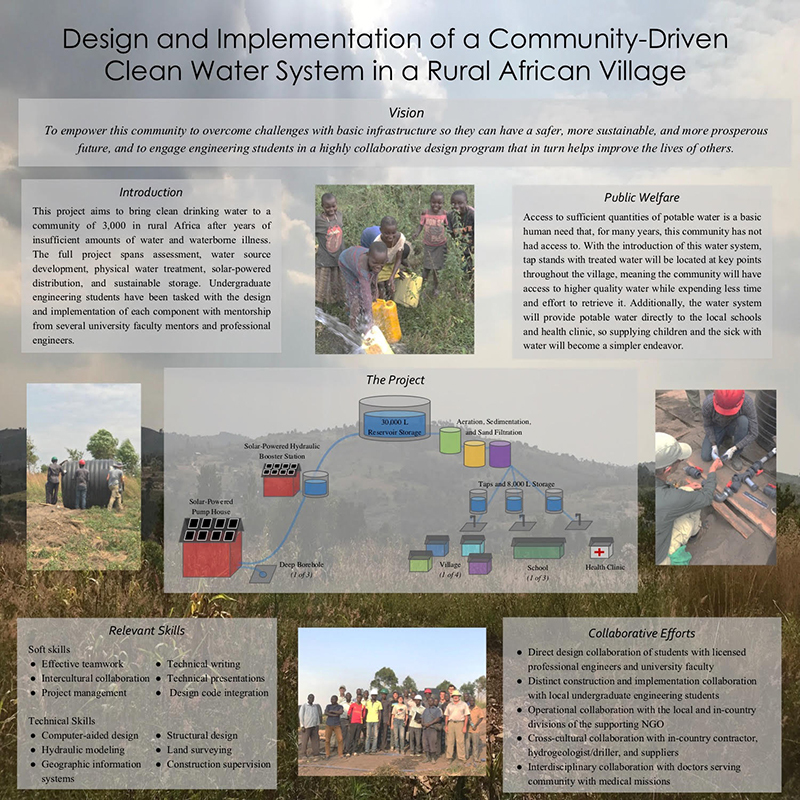 “With the introduction of this water system, tap stands with treated water will be located at key points throughout the village, meaning the community will have access to higher quality water while expending less time and effort to retrieve it,” according to information on the team’s winning poster design. In this competition, they were one of eight schools that were recognized out of the 97 submissions from other engineering colleges across the country. “Our project was unique. A lot of schools were doing water-based projects, but they were not as involved as ours. 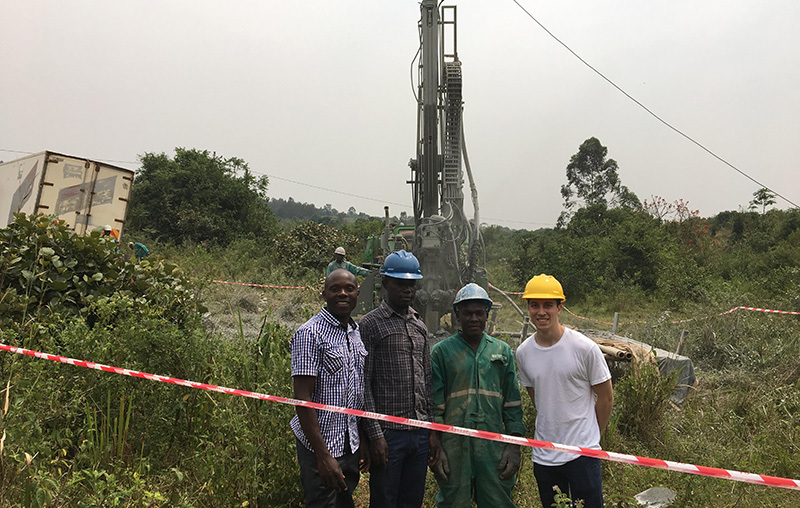 Our humanitarian-based project team worked with professional mentors and got their advice for every step,” Brent Reichert, senior mechanical engineering major, explained. In addition to Reichert, Becca Kheiry, Lucy Rukstales, Anne Poindexter and Lexie Adams helped create the submission for this award.